Well, first of all: Merry Christmas! Hope you're all having a good one...! It's been a very exciting week for Nikki.B Clothing. Last week I made a last minute decision to go out to Chamonix for a cheeky business trip! Yes the snow forecast did play a big part to my decision, but it was the best last minute decision I have ever made!! The forecast for wednesday looked good, so we decided to get up early to catch the first chair lift ha that was wishful thinking!! The forecast was spot on, it was a blue bird morning and the snow snobs where out in force. The sweeds where in their full colour suits, looking like a mass of fruit pastels. We where all ready to take part in the two hour powder race!!! After I got my powder fix, I was ready for business!! I handed out 200 flyers and 300 stickers, so if you out and about in Chamonix look out for the cheeky No Friends On A Powder Day stickers on the mountain. It was a very successful trip and I am happy to announce you can find NIKKI.B t-shirts in two retailers in Chamonix: The AlpCenter http://www.namastesport.com and The Vert in Chamonix Town. After working in London and trying to be a fashionista, something I was hopeless at. 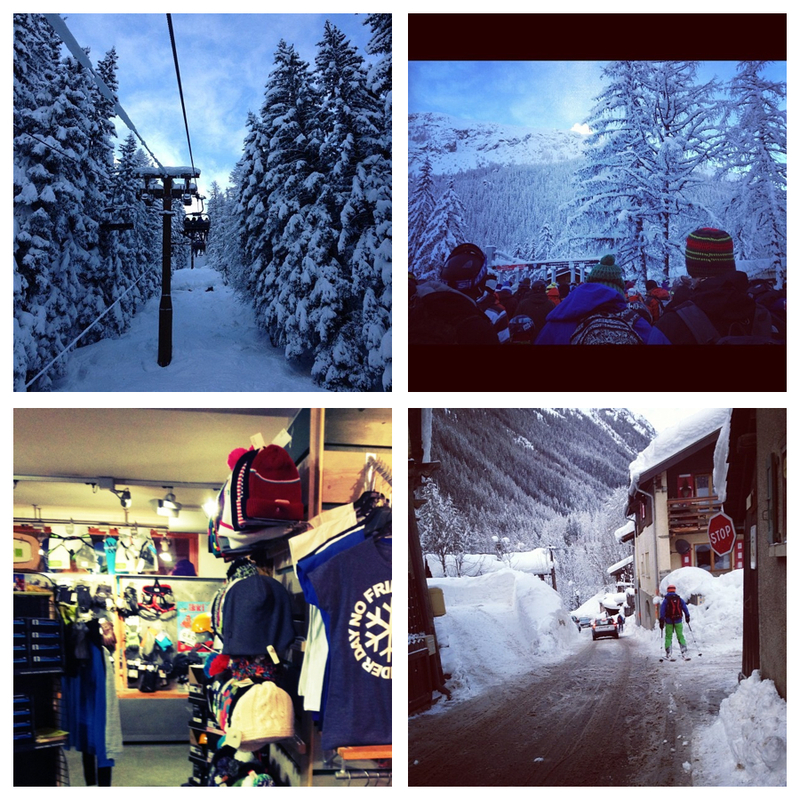 I decided to have a break from the Fashion industry and took up the opportunity to do a ski season in CHAMONIX!!! 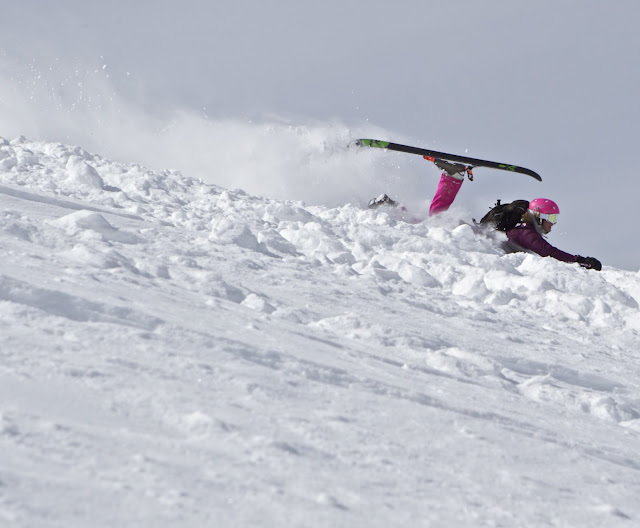 CHAMONIX = OFF PISTE MECCA!!!! It must have been fait as it was the best season of 25 years and we had countless P O W D E R D A Y S.
I was living the dream Skiing, Après, Climbing and meeting incredible people. It was CHAMONIX which inspired me to pick up the pen and start scribbling ideas and designing again. I was hooked and I was so inspired by everything I had done, seen and witnessed. The t-shirt range is pocket size at the moment but every few weeks something new will be released. So this is it... So spread the word and enjoy the Tee's!